For starters, think about muscle growth like putting together a large hormonal puzzle. The picture gets clearer once we understand that the puzzle is made up of pieces like DHT, Testosterone, GH, IGF and MGF. Some of these hormones are expelled by the liver as a response to damaged muscle tissue. For example, growth hormone helps release insulin-like growth factor. 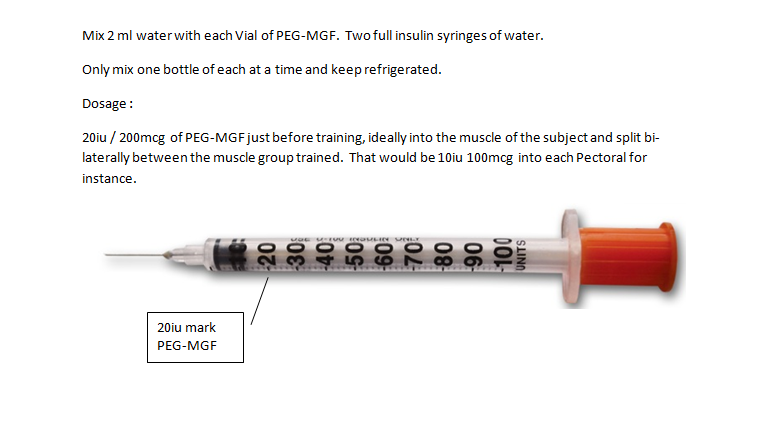 One of the variants of insulin-like growth factor is MGF, better known as mechano growth factor. In the past, you had to depend on your body to produce IGF or MGF naturally, but not anymore. Now that scientists have been able to isolate and reproduce these peptide chains, bodybuilders and athletes can recover faster and increase hypertrophy like never before.